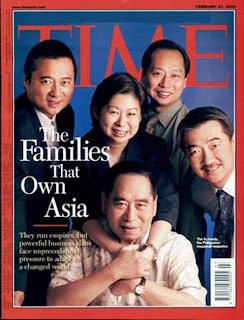 Six business tycoons from the Philippines led by SM group patriarch Henry Sy made it to Forbes Magazine's 2012 list of richest people on the planet. In the Philippines, it was the first time for Cojuangco and Ongpin to join the roster of the world's billionaires (in US dollar terms). Forbes published on March 7 its latest gallery of the world's richest people, an all-time high 1,226 billionaires, who were worth a record $4.6 trillion. When the magazine started this tradition of counting billionaires around the world 25 years ago there were only 140 names. At the top of Forbes' global list is Mexican Carlos Slim, 72, who has an estimated net worth of $69 billion. Microsoft founder Bill Gates, 56, is second and investment guru Warren Buffet, 81, chair of Berkshire Hathaway, third. Sy and family ranked 116th richest in the world, cementing his title as the wealthiest man in the Philippines. Forbes estimated his net worth at $8 billion. The 87-year-old Sy leads SM Investments, the dominant player in Philippine banking, retailing and shopping mall development. It is also a fast-growing player in residential and tourism-oriented property development. Sy's group has recently added mining to its portfolio. Lucio Tan and family ranked 314th on the list with an estimated net worth of $3.5 billion. Lucio Tan, 77, has interests in tobacco and liquor manufacturing, airline, property and banking. He has vast property interests in mainland China and is likewise a big investor in Guam. Property tycoon Andrew Tan ranked 601st on the global list with a net worth of $2.1 billion. Andrew Tan, 59, built a fortune on real estate development, particularly in offering high-rise residential units to the mass market and in pioneering mixed-use developments to attract business process outsourcing firms. He has also successfully ventured into the gaming business in partnership with the Genting group of Malaysia. He likewise has consumer-based interests, including a beverage unit and the Philippine chain of McDonald's fast-food stores. Razon, 52, is the fourth and the youngest tycoon from the Philippines with an international rank of 683rd. Forbes estimated his net worth at $1.9 billion. He has built a fortune on international port operations. Razon has unloaded his interest in the country's electricity transmission superhighway and is now building a casino-hotel complex in Pagcor City. He also has an interest in oil exploration. Cojuangco, 76, is the fifth Philippine tycoon on the list with a global rank of 960th. The 76-year-old chair of San Miguel Corp. (SMC) has an estimated net worth of $1.3 billion. Cojuangco has a 15-percent stake in San Miguel which has diversified from its traditional food and beverage businesses into power generation, power distribution (via a minority but significant stake in Manila Electric Co.), oil refining, mining, toll road, airport, banking and telecommunications. Ongpin, 75, is ranked 1,153rd on the list with an estimated net worth of $1 billion. Ongpin brought in London-based Ashmore as a partner in Philippine investments in recent years. Apart from his interest in San Miguel and Petron Corp., Ongpin is into real estate, mining and recently into banking. Compared to last year, Sy, Lucio and Andrew Tan and Razon significantly increased their wealth. Sy was worth $5.8 billion in 2011 while Lucio Tan, Andrew Tan and Razon were worth $2.3 billion, $2.2 billion and $1.1 billion, respectively. With the local stock market outperforming most bourses in the region, the market capitalization of their respective companies has surged. "The Philippines' richest man, Henry Sy started out in his father's bodega (warehouse) and then opened a shoe store. He now controls the Philippines' largest mall developer, with 42 locations; has five in China, including one that opened last year. Shares in SM Investments, which makes up bulk of his fortune, popped 50 percent in the past year. BDO Unibank, run by daughter Teresita Sy-Coson, is the country's largest bank," Forbes said. BDO is worth over P1 trillion, the first local bank to breach this mark in asset base. The Sys also own another big bank, China Bank, which is run by the tycoon's sons. The retailing group, operating through a chain of SM Department stores, hypermarts, supermarkets and SaveMore, had a turnover of P148.2 billion in 2011. Forbes described Lucio Tan as a "tobacco king" holding over a third in Philip Morris-Fortune Tobacco, a joint venture between his privately held Fortune Tobacco and Philip Morris. The combined entity has an estimated 80-percent share of the Philippine cigarette market. Tan's Asia Brewery is the country's second largest beer maker, according to Forbes. "A big chunk of fortune comes from Hong Kong-based Eton Properties," the magazine said. "He got his start as a chemical engineer and mopped floors to pay for school. Tan enjoys flying helicopters," Forbes said. The publication noted reports that Lucio Tan was in talks to bring in San Miguel to help refurbish the aging fleet of Philippine Airlines. It also noted that three of Tan's companies, Eton Properties, Tanduay Holdings and PAL Holdings, faced delisting by the Philippine Stock Exchange for failing to maintain a 10-percent public float. "Son of a factory worker, Andrew Tan did odd jobs to put himself through college. Saved money he earned as a kitchen appliance salesman to buy a distillery and made his first fortune in brandy. His holding company, Alliance Global, has interests in food and beverage, real estate and gaming. With partner Genting Malaysia, he plans to build a second casino in Pasay City this year," Forbes said. Cojuangco was described by Forbes as a "former Marcos crony" who controls San Miguel, a food and beverage conglomerate best known for its beer. Forbes noted that San Miguel had spun off its brewery unit in 2007, diversifying into power, infrastructure and heavy industry. "In 2010, he sold an option to a group of investors to buy him out for an undisclosed sum. The country's Supreme Court has ruled that his stake in San Miguel, which the Presidential Commission on Good Government had alleged he got because of his links with the former dictator, wasn't ill-gotten," Forbes said. The Inquirer reported in May 2010 that Cojuangco had made plans to unload his entire 15-percent equity in San Miguel in favor of trusted allies. The option to buy his shares for P75 per share was given to a holding firm, Top Frontier Investment Holdings. The holding firm is 49-percent owned by San Miguel itself as represented by Cojuangco's trusted lieutenant and concurrent company president Ramon Ang. An investor group, which includes Ongpin, Iñigo Zobel and condiments king Joselito Campos, controls 51 percent. Forbes noted that Ongpin, a former minister of trade during the Marcos regime, had investments in property, gaming, mining and telecommunications. (His interest in telecoms was recently sold to San Miguel and Ongpin instead took a controlling stake in Philippine Bank of Communications). Ongpin heads Top Frontier, the entity with a controlling interest in San Miguel. "Last November he appeared before a Senate inquiry over a loan from a state-owned development bank, which he claims was above board. He's a certified public accountant and Harvard Business School graduate," Forbes said. Aside from the interests mentioned by Forbes, Ongpin has an interest in media being the deputy chair of South China Morning Post in Hong Kong. I am among of the writers and administrators of this web site. I always on the heads up when it comes to Sports, Politics, Economy, Business, Physics, Mathematics, Technology, computers and NEWS all over the world that triggers ny eyes and interests. I am working as a volunteer with other 14 administrators, researchers, writers and contributors. We are a strong solid team. Join us and be among of the contributor with your name on each posted article. 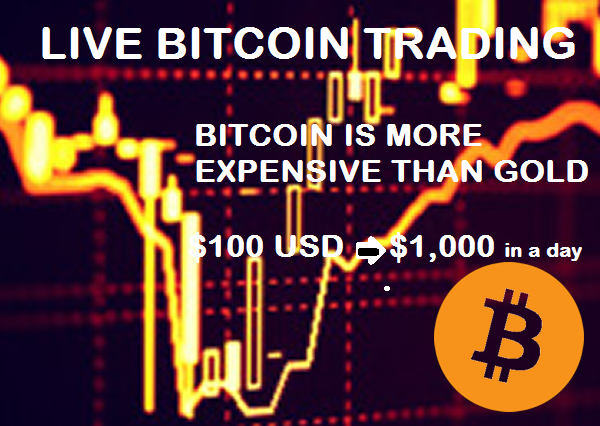 Live trading with Bitcoin through ETORO Trading platform would allow you to grow your $100 to $1,000 Dollars or more in just a day. Just learn how to trade and enjoy the windfall of profits. Take note, Bitcoin is more expensive than Gold now. 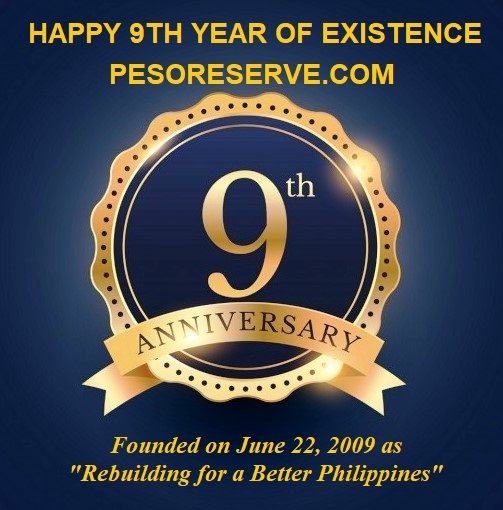 Happy 9th Year Anniversary "PESORESERVE.COM"
Founded on June 22, 2009 as "Rebuilding for a Better Philippines" aimed to educate the Filipinos how to love our country, how we lost Sabah North Borneo, and reinvigorating the burning heart of our Kababayans and fellow OFWs to love our "Bayan" our country; now we are at our 9th year of existence..